Prepare the imprest report for Kasulu Sub office and ensure all supporting documentation and signatures are complete before sending to Dar es Salaam. Plan daily petty cash and ensure the safe custody of all cash at hand. On daily basis submit a petty cash replenishment request to the HSO. Count cash float daily, ensuring that the amount on hand coincides with accounting spread sheets. Maintain a filing system and ensure that paid vouchers are filed in the order in which they are entered to cashbook. Verify invoices and prepare all cash and cheque payments for utilities, office equipment and supplies, printing, and other contracts, services or running expenses. Ensure that all cash and the necessary supporting documents are provided before payment is made. 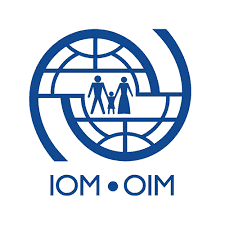 Submit funding requests to IOM mission office in Kasulu and ensure that sufficient funds are available locally and issue official IOM receipts for all collection made by the Sub Office. Checking and ensuring that all TA’s and expense claims are duly completed, and all supporting documents are attached prior to dispatch to Mission office Dar es Salaam for computation and reimbursement. Review Sub Office internal controls and notify the HSO and RMO of any potential weaknesses and propose corrective action required and prepare estimated cost for the budget preparation purpose. Take part in all procurement activities, in line with needs of the IOM office in Kasulu and according to the IOM procurement policy. Set up and implement appropriate mechanisms to avoid fraud and ensure transparency. Apply for and follow up all duty/VAT exemption applications for procured goods/services. Maintain personal files for staff members and make sure they are updated regularly, contracts for staff members are valid and issued on time, attendance records are updated, leave request submitted by the staff members properly registered in the excel spread sheet. Oversee the service providers for general cleanliness of the office premises, security, and also monitor the maintenance of the office building, utilities and communication. Provide introduction to newly recruited national staff on entitlements and benefits as well as administrative procedures on other HR issues. Perform other duties as may be required by supervisor.  Minimum 3 years of experience in similar field. Kindly note only shortlisted candidates will be contacted.